Man is this country’s conversation about guns completely screwed up. A man with no criminal record shoots up a Colorado movie theater. Twelve people die. We’re horrified. We’re outraged. That’s fine — we should be. But then we blame the tea party, which makes even less sense than when we blamed them for the shooting of Rep. Gabby Giffords. At this rate, we’re probably better off waiting for the day we can just prevent premeditated gun crimes before they happened. 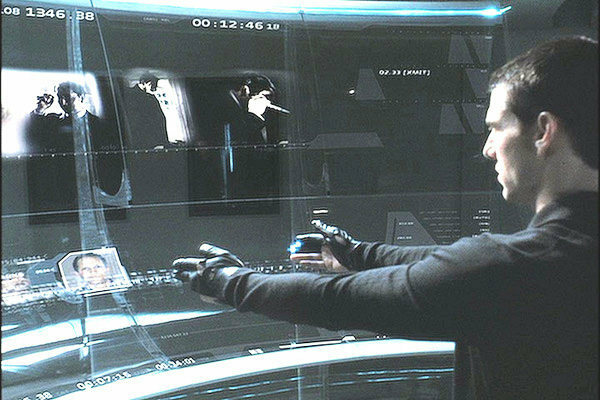 Like Minority Report — all we need are a couple drugged-up sages and some fancy gloves for Tom Cruise… and we’re set! I want to be clear: I don’t know whether this incident should lead to stricter gun laws. I’m a journalist by trade, so I keep my hands clean in that debate. But I do think the debate should happen, and we need to be smarter about the way we start it. It seems pretty obvious that, short of an outright ban, there aren’t many gun policies that could prevent alleged Aurora gunman James Holmes from getting his hands on a gun. He never had a run-in with the law, and as far as anyone has reported thus far, had no psychological or physical disorder that would make his owning a gun unreasonable. Besides, a policy — or lack of policy — doesn’t pull the trigger. But James Holmes shouldn’t be the central figure of our discussion of our gun laws. Rather, James Holmes should be a jumping-off point for a broader discussion. The debate we are having — or ought to be — isn’t about laws to prevent gruesome, tragic, Columbine-esque mass killings. It’s about laws that could, maybe, possibly, have changed the outcome in gun crimes that never, ever make the national news. Take Columbia, Mo., where I went to college. The city of 100,000 feels largely suburban and, demographically, has largely avoided major urban problems like crime and poverty as it has grown. But lately, gun violence has started to flare there — shooting after shooting after shooting — not just in the central part of town, but in the city’s residential neighborhoods. A body was found on the trail near where two of my buddies live. I don’t know that laws would have prevented these shootings. Again, I don’t want to wade into the debate. But shutting down the debate because James Holmes’ criminal profile doesn’t resemble those of the perpetrators of the shootings in Columbia makes as little sense as blaming the tea party for causing the shootings in Colorado. [The Colorado shootings] may spark a fresh round of soul-searching on America’s relationship with guns but few predict any real change in the law. Most Americans… do not believe that tougher gun laws would be the solution. Gallup polls over the last two decades show the percentage of Americans who favor making gun control laws “more strict” fell from 78 percent in 1990 to 44 percent in 2010. The whole thing reminds me of a scene in Minority Report, which depicts a not-so-distant future in which murders are easily predicted so that police can stop them before they occur. “There’s nothing wrong with the system, it is perfect,” Tom Cruise tells Colin Farrell, who’s looking for flaws in the system.